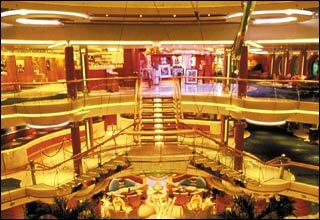 Deck 12 is the highest point on the ship. 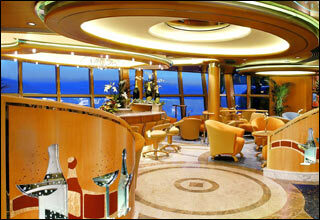 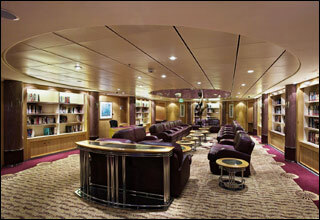 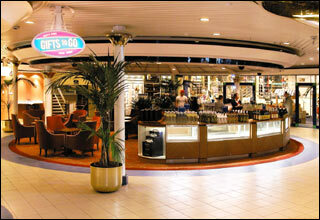 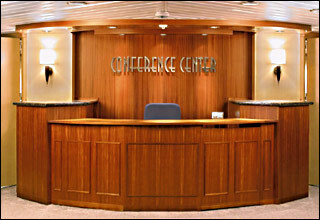 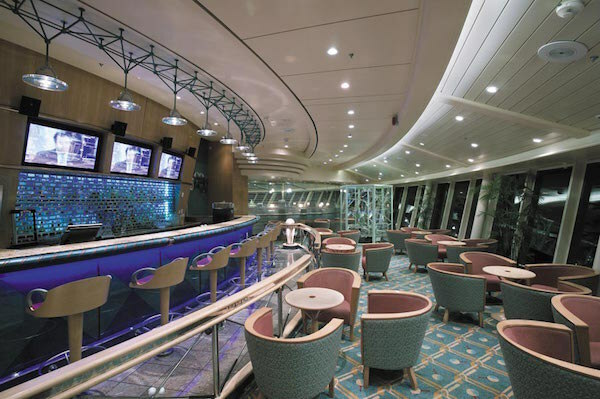 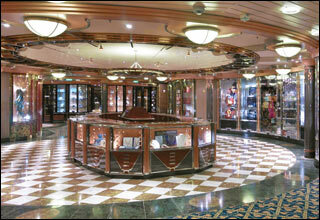 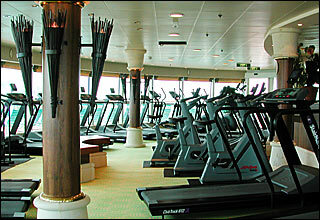 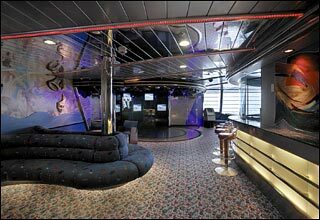 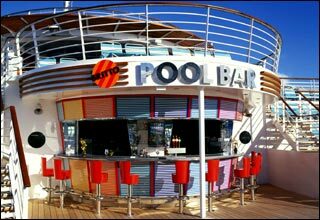 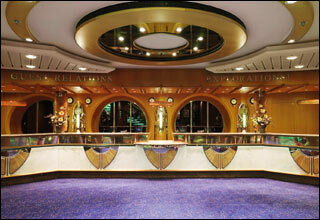 Deck 11 features the Viking Crown Lounge and the Concierge Club. 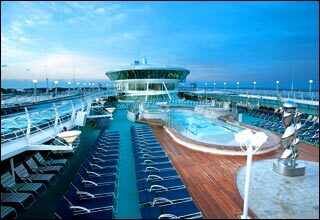 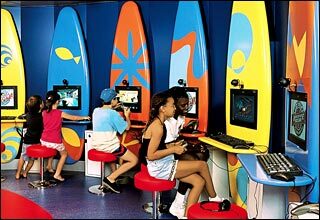 Deck 10 features the Bungee Trampoline, Vita Course, Adventure Ocean, Teen Center, Video Arcade, Royal Babies and Tots Nursery, the Jogging Track, the upper level of the Vitality at Sea Spa and Fitness Center, and the Rock Climbing Wall. 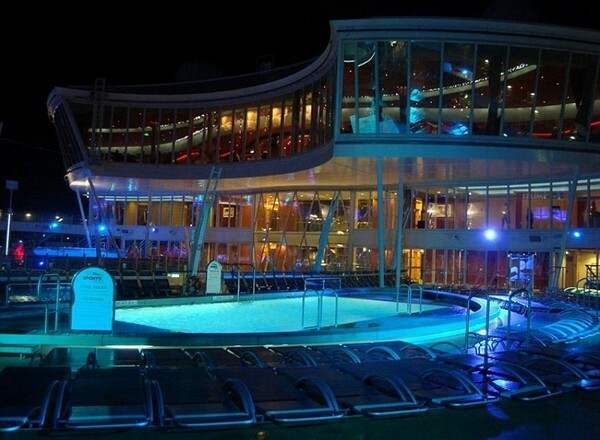 Deck 9 features the Windjammer Cafe, Outdoor Movie Screen, Kids' Splash Pool, the Main Pool, whirlpools, Island Bar, Sports Pool, the Solarium, Solarium Pool and whirlpools, and the first level of the Vitality at Sea Spa and Fitness Center. 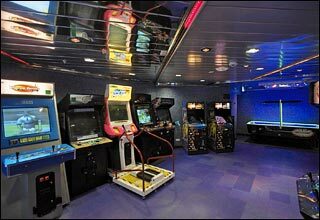 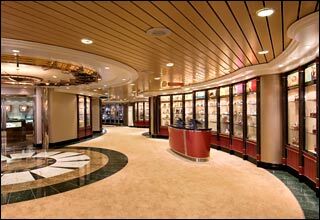 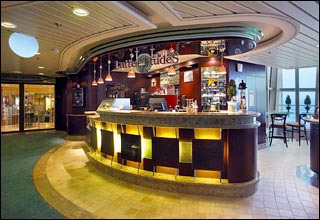 Deck 8 features staterooms in categories RS, OS, FS, GS, JS, D1, FO, F, FI, and K.
Deck 7 features staterooms in categories JS, D1, D2, F, G1, K and L.
Deck 6 features the upper level of the Orpheus Theater, Centrum Shops, Photo Gallery, Photo Shop, Art/Auction Gallery, Art Gallery, Cafe Latte-tudes, Next Cruise, RC Online, the Library, Centrum Balcony, Chops Grille, Conference Center, Schooner Bar, and the Spotlight Lounge. 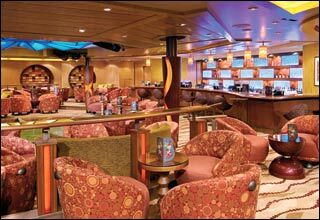 Deck 5 features the lower level of the Orpheus Theater, Casino Royale, Boleros Lounge, Shore Excursions, Guest Services, and the upper level of My Fair Lady Dining Room. 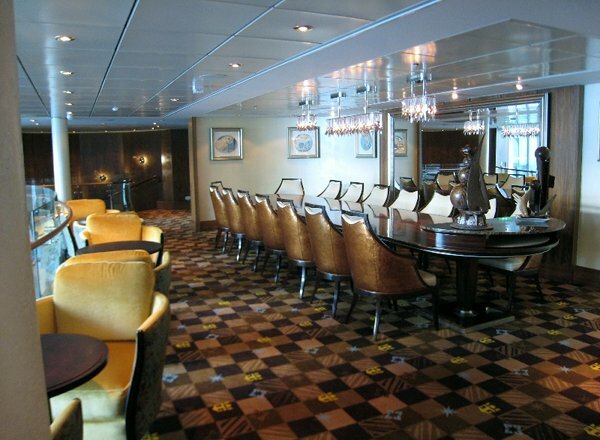 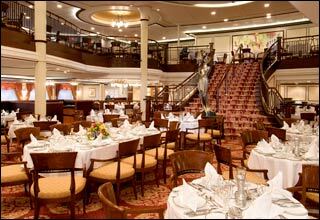 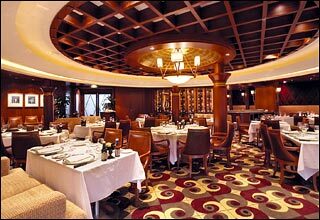 Deck 4 features staterooms in categories F, G, K, L, and M, as well as the Centrum, lower level of My Fair Lady Dining Room, and Chef's Table. 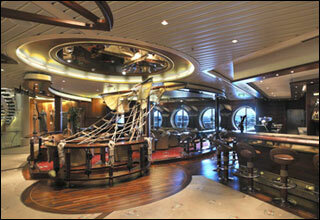 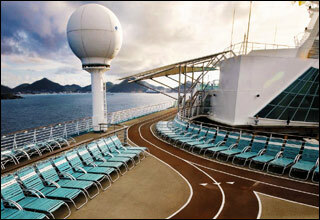 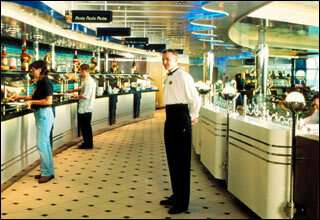 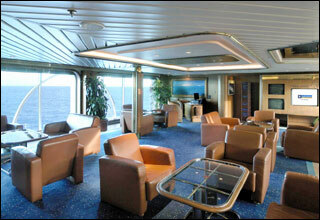 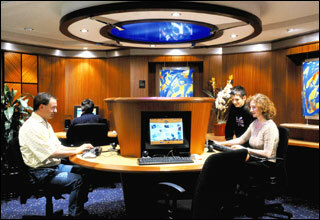 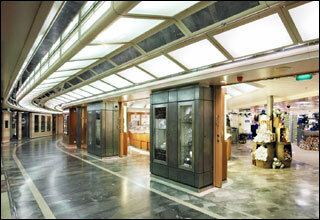 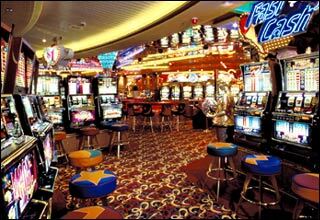 Deck 3 features staterooms in categories F, H, M, N, and Q.
Deck 2 features staterooms in categories F, I, M, N, and Q.